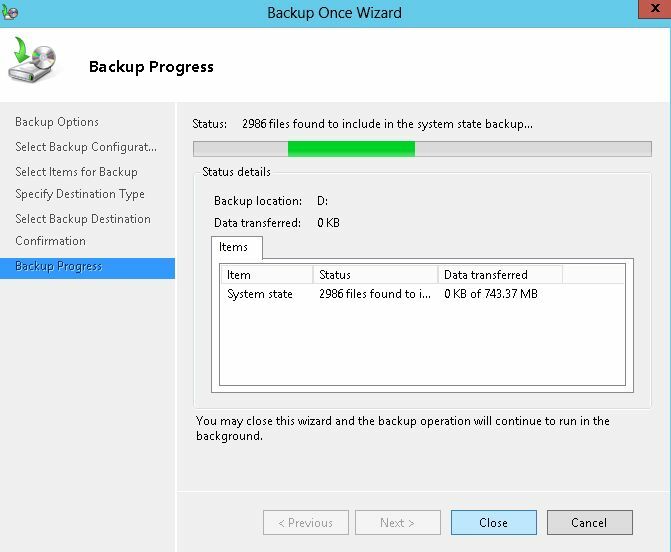 In my previous article I explained How to Install Windows Server Backup Feature in Windows Server 2012. 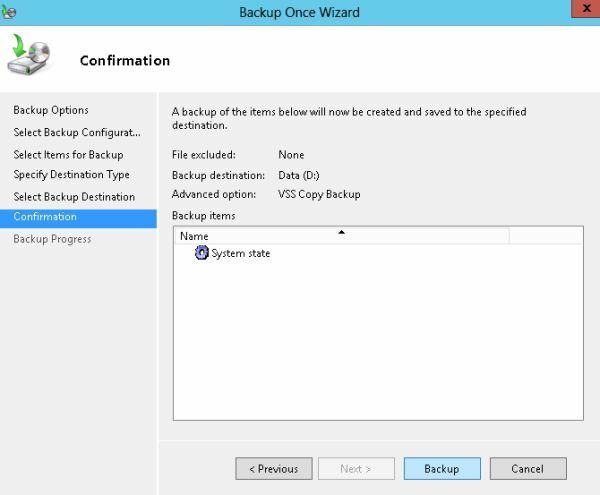 In today’s article you will learn how to create a backup of the System State/Active Directory using the Windows Server Backup Feature in Windows Server 2012. Just as, until now you have already installed the Windows Server Backup Feature, now we will move forward from there. 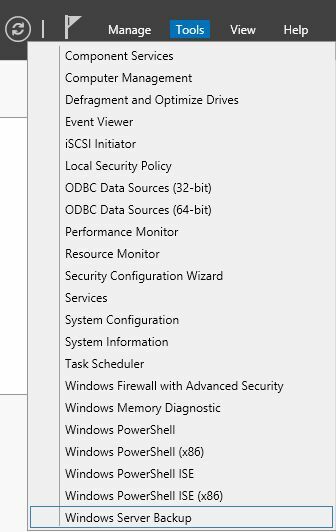 Go to the Tools option provided by the Server Manager, left-click on it and scroll down to the “Windows Server Backup” option. 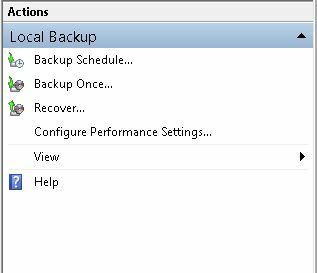 In the Local Backup option you will get a few options like “Backup Schedule”, “Backup Once”, “Recover” etc. 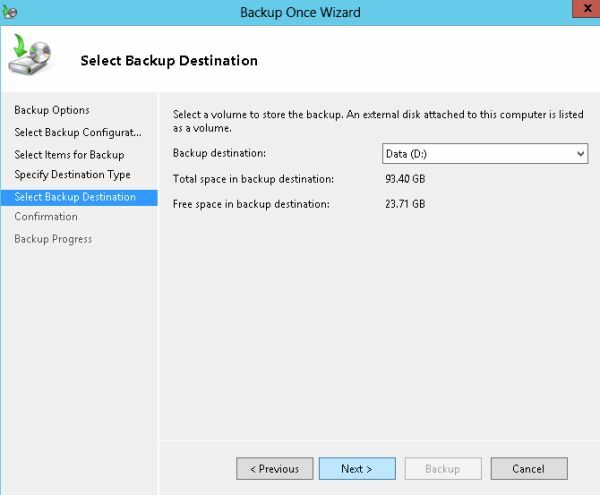 In this article we will create a one-time backup, so click on “Backup Once”. 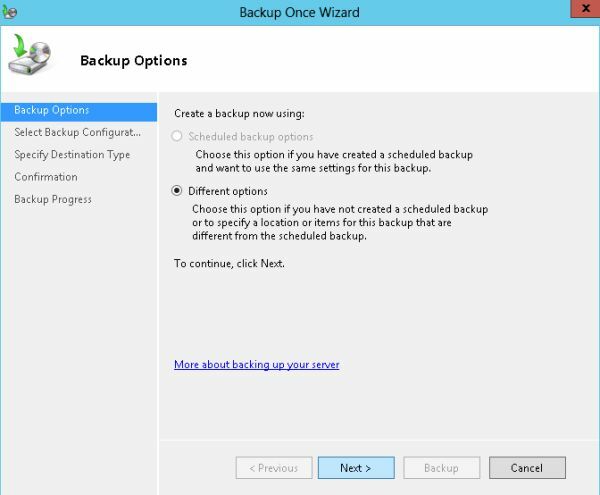 Now “Backup Options” will be available from which you must select the second option, “Different Options” and then click on “Next”. 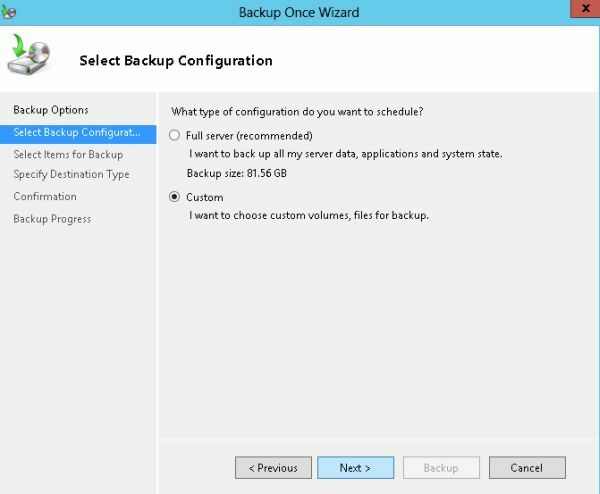 Now “Backup Configuration” will be available from which you can either select to create a backup of the “Full Server” or select the “Custom Option” that will give you freedom to chose from various options for creating a backup. On the next page click on “Add Items” after which you will be able to select the item to create the backup of. 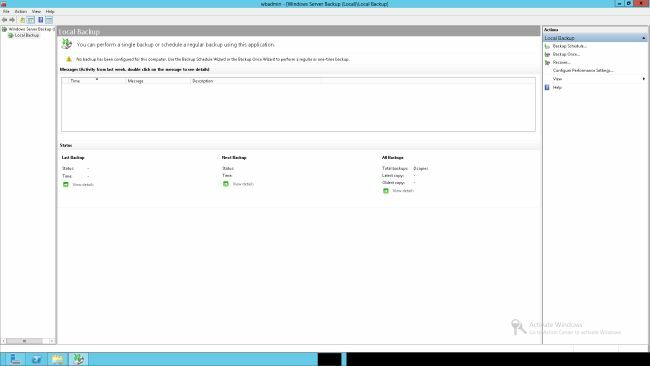 From the options you can select any Drive or System State or both. 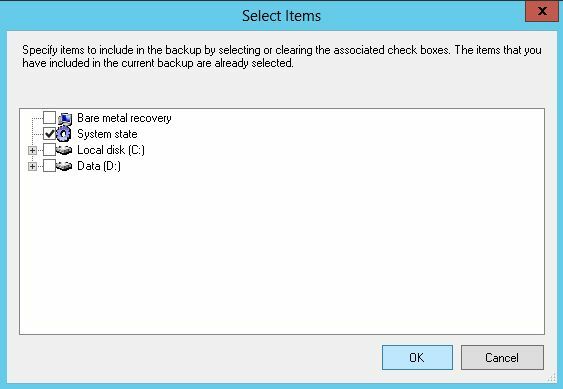 Here I will create a backup of only the System State so I select it and click on the “OK” button. Since here I selected the Local Drive, it will ask me in which drive I would like to create the backup and how much space is available in that drive. After that click on “Next”. Now a Confirmation Page will be shown that will show you the full details of whatever you selected and will finally ask you to give permission to create the backup. 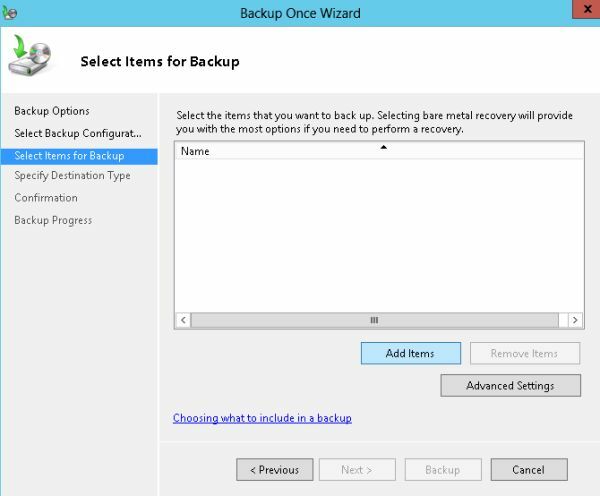 Click on “Backup” to start the backup. Now your backup will begin and within a few minutes your backup will have been created. 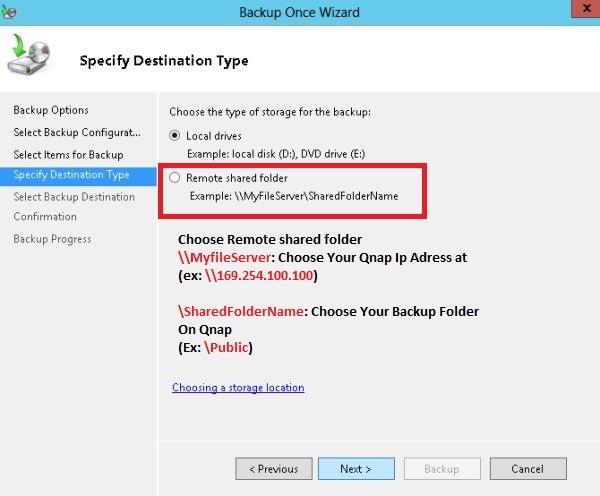 Now you can go to the specified drive and ensure that the backup was created. Type /etc/init.d/smb.sh restart command to restart samba service, and restart Backup again.. I tried this option and it failed, again and again. Is there really no way to back up a Windows server to the NAS without buying additional software?